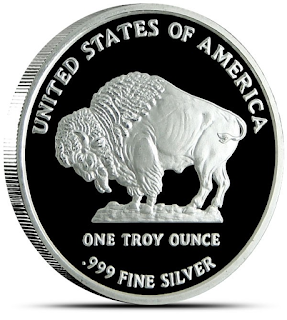 This 1 troy ounce of .999 pure silver is one of the most popular images on a silver round. 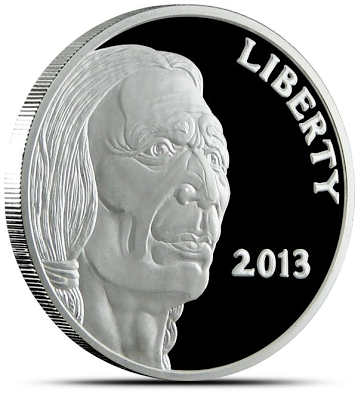 The design originated from James Earle Fraser, first seen on the 1913-1938 circulating Buffalo nickel. The Silver Buffalo is SD Bullion’s most popular silver round. The round normally has a very attractive price over spot compared to the higher premiums associated with Silver American Eagles or Canadian Maples. I have not yet ordered from SD bullion so personally recommend that but that seems to be the best deal around for a one ounce silver round.. ( At *$1.50 over spot per ounce premium this is an incredibly decent price) - you can get cheaper if you get heaps or pay slightly more for less than 100.